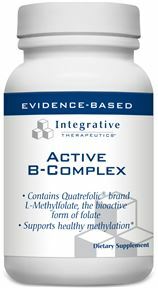 You can find Active B-Complex in the dispensary. * Did you know Dr. Craig donates a portion of all supplement sales to CFS & Fibromyalgia research and advocacy groups? 1 Kelly P, McPartlin J, Goggin M, Weir DG, Scott JM. (1997) Unmetabolized folic acid in serum: acute studies in subjects consuming fortified food and supplements. Am J Clin Nutr. 65:1790–5. 2 Fohr IP, Prinz-Langenohl R, Brönstrup A, et al. 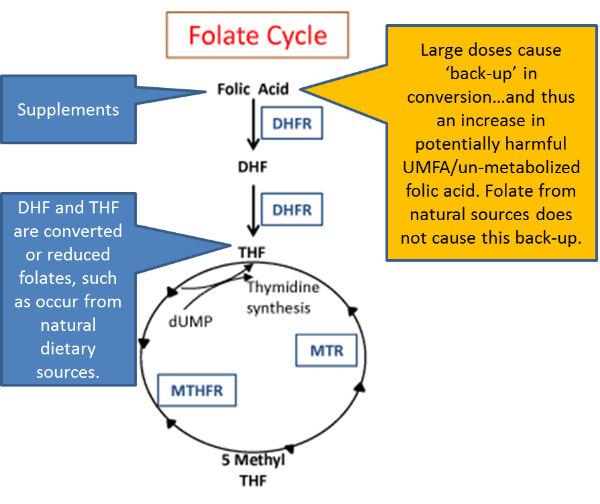 (2002) 5, 10-Methylenetetrahydrofolate reductase genotype determines the plasma homocysteine-lowering effect of supplementation with 5-methyltetrahydrofolate or folic acid in healthy young women. Am J Clin Nutr. 75:275–82. 3 Pentieva K, McNulty H, Reichert R, et al. (2004) The short-term bioavailabilities of [6S]-5-methyltetrahydrofolate and folic acid are equivalent in men. J Nutr. 134(3):580–5.